Koo Bon-hwan has begun his term as president of Incheon International Airport Corp., the airport operator said Wednesday. Koo, who served at the Transport Ministry for 28 years, said he will push to improve the airport’s infrastructure to accommodate some 100 million passengers annually by 2023. “Along with a paradigm shift in the airport business in recent years, the focus of the airport business has transformed from simply dealing with passengers and shipping to encompassing hotel and resort development surrounding the airport, and establishing smart airport cities equipped with transportation, tourism and logistics,” Koo said during an inauguration ceremony in Incheon on Tuesday. Citing Memphis International Airport in Tennessee as an example of bringing positive impact to the regional economy, Koo said he would make Incheon Airport a new growth engine for the country by transforming the airport into a new economic zone. He also stressed a people-oriented vision for the business, saying he will lead the airport’s expansion of social value by creating quality jobs and stabilizing the working environment. “Incheon Airport is almost like a small city used by 300,000 people, including 70,000 employees, every day. For the growth of the airport, harmony, trust and coexistence between people is more important than anything,” Koo said. 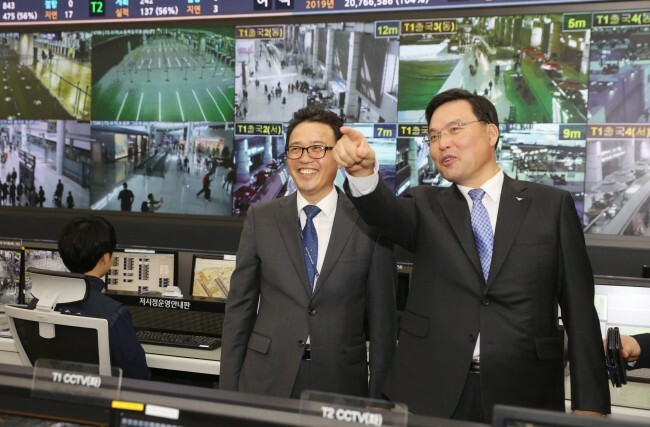 Koo had served in key positions at the Transport Ministry, including head of its international aviation department and head of the Seoul Regional Office of Aviation. He had supported the opening of Terminal 2 at Incheon Airport last year and the conversion of contract employees to permanent positions.